BOOKWOMEN SPEAK: The WNBA Centennial Visionaries Series: The San Francisco Chapter will honor the contributions of Maxine Hong Kingston on the 40th anniversary of her seminal work, “The Woman Warrior,” and on the 100th anniversary of the WNBA’s founding. Limited to the first 70 confirmed tickets. Help promote our event by downloading this FLYER! Maxine Hong Kingston’s memoirs and fiction have earned numerous awards, among them the National Book Award, the National Book Critics Circle Award for Nonfiction, the PEN West Award for Fiction, an American Academy of Arts and Letters Award in Literature, and a National Humanities Medal from the National Endowment for the Humanities. Kingston was also awarded the 2013 National Medal of Arts by President Barack Obama. She has contributed to the feminist movement with such works as her memoir The Woman Warrior, which discusses gender and ethnicity and how these concepts affect the lives of women. The Woman Warrior and China Men are influenced by her mother’s childhood stories of China, her experiences as a first-generation Chinese American, and the racism and denigration of women that she encountered growing up in post-World War II California. Kingston’s most recent books are To Be The Poet and The Fifth Book of Peace. Vanessa Hua is a columnist for the San Francisco Chronicle and author of Deceit And Other Possibilities. For nearly two decades, she has been writing about Asia and the diaspora in journalism and fiction, examining the ways immigrants bring their traditions, their histories, and their ambitions to the America. She received a Rona Jaffe Foundation Writers’ Award, the San Francisco Foundation’s James D. Phelan Award, a Steinbeck Fellow in Creative Writing, as well as awards from the Society of Professional Journalists and the Asian American Journalists Association. Her work has appeared in the New York Times, The Atlantic, FRONTLINE/World, Washington Post, ZYZZYVA, and elsewhere. She has filed stories from China, South Korea, Panama, Burma and Ecuador. Her novels are forthcoming from Ballantine. Please fill in the form to register in advance. You do not need a PayPal account. If you are paying by credit card, just look for the “pay with credit or debit card” line on the PayPal screen. Though online payment is preferred, you may pay by check. I think we can all agree this year has been a wild ride; let’s make this coming holiday season one where all is calm, all is bright. Despite the vicissitudes of 2016, it was a banner year for our chapter wherein we hosted the WNBA National Board, and met member leaders from all over the country, planning the future of the organization. We sponsored marvelous events, including one of the best ever National Reading Group Month six-author panel in partnership with Litquake at Books Inc. in October. Thanks to all of you and the indefatigable Past President Kate Farrell, WNBA-SF Chapter has been acknowledged as an exemplar chapter. Cheers to that! As you know, WNBA turns 100 next year; something we can all take pride in and take part in. Many people, including members of our own chapter, have been working very hard to create the excellent new National WNBA website and membership directory which you should check out in advance of the formal launch. We now have a Zazzle store where schwag and goodies from each chapter are available to order. I’ll bet someone on your list would love a WNBA-SF Journal and mug for poetic scribblings and nog. Speaking of scribbling, have you submitted your work to the National WNBA Writing Contest Contest? Our own Joan Gelfand was one of the founders of this illustrious competition and nothing makes us happier than seeing our own members and Bay Area wordsmiths winning accolades. Gelfand imparts her much-needed and insightful advice for us writers in her article on our website about Publishizer, a new way for writers to find their path to publication. We will learn more about that at Pitch-O-Rama 2017. We have the honor of having the national leadoff event for our Centennial Year, The Warrior Woman in All of Us with Maxine Hong Kingston in conversation with Vanessa Hua at the Women’s Building Audre Lorde Room at 4 pm on January 7, 2017. Not only is this an opportunity to hear two of the finest female writers of our time, it is an occasion for us to get together and toast 100 Years of “women in the world of words.” We’ll even have sparkling beverages and wine for exactly that purpose. WNBA-SF Chapter is a sponsor for the San Francisco Writers Conference at the swanky Mark Hopkins Hotel next Presidents Weekend. This has become a part of literary San Francisco’s grand tradition and we highly recommend our chapter’s free children’s event on February 18th, which is sure to be inspiring. We’ll have an exhibit table in the California Level Foyer; please do stop by and say hello. One of the highlights of the year is our own Pitch-O-Rama on March 25th at the Women’s Building Auditorium. We are truly excited to have even more agents, publishers, and editors than ever before and hope you meet the one who will become your champion and help make your book publishing dreams come true. I have acquired two books from authors I “speed dated” there and know of many such success stories. Start crafting those pitches. I am really looking forward to the presentation on getting your book turned into a movie featuring our own Mary Mackey and her producer. See you at the Oscars! we learned anything in the year 2016, it is that we need to stay close to one another. It is incumbent upon us to m ake sure the voices of women are represented, now more than ever. And we want to hear from you. POLISH. You’ve polished your manuscript. Now polish your pitch with our pre-pitch coaches. PITCH. We’ve assembled top agents, editors, and publishers to hear your pitch. Click here for the current list with more to come! PROMOTE. Power up with social media secrets in the Author’s Guide to Success, an ongoing session led by a bestselling author and an award-winning publisher. PARTICIPATE. From Page to Screen: Turn your book into a movie with authors who did it, screenwriters and a Hollywood director. To read the current list of agents and editors and to REGISTER, click HERE. They are the keynoters for 2017. But the SFWC presenters list also includes many more bestselling authors, literary agents, editors, and publishers from major publishing houses. There are experts on self-publishing, book promotion, platform building, social media, and author websites. With one of the largest faculties of any writer’s conference, the San Francisco Writers Conference is proud to welcome over 100 outstanding presenters this year. Children’s Event: WNBA-SF Chapter Co-sponsor! FREE & OPEN TO THE PUBLIC: Jon Agee, acclaimed author and illustrator of numerous children’s books, including It’s Only Stanley, Lion Lessons, and the 2017 debut Life on Mars, will share his storytelling secrets with the public at the 2017 San Francisco Writers Conference, Saturday, February 18th, at the Mark Hopkins Hotel. Agee will engage the audience in creating a story as he draws illustrations they choose. See a book come alive with Agee’s delightful prompts and images. RULES: This session is FREE, but admission is by ONLINE REGISTRATION ONLY! Limited to the first 150 confirmed RSVPs. Mandatory: At least 1 adult chaperone per group of 10 children and individual children under 18 must be accompanied by an adult–for grades 1 – 3. After the session, follow Jon to the book signing in the ‘Room of the Dons’ on the Lobby Level! Help us promote this event and download the flyer HERE! Bev Scott is one of our newer WNBA members. Bev’s earlier careers included a role as an organization consultant and leadership coach for over 35 years. She has published three non-fiction books in her field and her first fiction book, Sarah’s Secret: A Western Tale of Betrayal and Forgiveness, is slated to be released this year. Rather than write a memoir about her family, Bev chose to create a fictionalized story. “I have had a long-held desire to pursue a rumored family secret about my grandfather. I began my genealogical search by interviewing remaining family members and researching documents in the National Archives, County Clerk’s offices and visiting cemeteries. Although I confirmed the rumored secret, I could not find all the information about my grandfather to complete a documented story. “Among the challenges were the timeframe and the fact that my grandmother did not reveal the secret to any of her children. My grandfather was born in 1840 and fought in the Civil War. He was fifty-two and my grandmother twenty-two when they married in 1892. He died in 1911 when my father was four. My grandmother did not reveal the secret to any of her five children so there was no one alive to give personal information or tell stories from their perspective. With the prevalence of startups disrupting established business models from taxis to hotels and music, the publishing industry was ripe for disruption. Still, first time novelists are signed by literary agents. Publishing contracts are closed daily. But advances, if there are any at all, are slim, and marketing and publicity budgets are now the responsibility of the author. Last spring, I was approached by Publishizer. At the time, my novel (Fear to Shred) was sitting on an agent’s desk in New York so I turned them down. After one year of back and forth with the agent and executing all the requested changes, my book was turned down. Coincidentally, Publishizer reached out to me again. “Why me?” I asked Lee Constantine, Head of Author Success. I learned that my online profile had won their attention. With almost 6,000 Twitter followers and significant social groups on Facebook and LinkedIn I was a good candidate. I also maintain a professional, up-to-date website. I agreed to begin the process with Publishizer. Their model is to help the author create a campaign. The campaign consists of a book cover, a video about why you wrote the book and a synopsis. In my case, it took almost two months to create my campaign. I hired a videographer, who had worked with me on my poetry films, to create a ‘sizzle roll’ or book trailer. I hired 99 Designs to create a book cover. 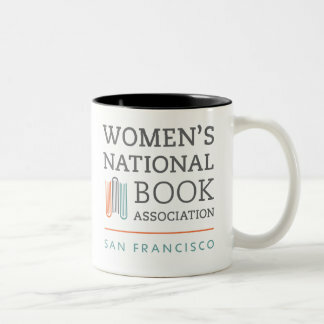 Zazzle: A Store for The Women’s National Book Association! WNBA just redesigned our logo! Now you can buy something to help us celebrate our 100th birthday! With chapters in 12 cities, we are an association of mostly women who love books. We promote reading and support the role of women in the community of the book. Would you like to cozy up with a good book and a cup of coffee or tea with a SF Chapter mug? So many delightful products and a fundraiser for our centennial! Now accepting submissions through January 15, 2017. A dynamic organization of women and men in all fields of the literary world, The Women’s National Book Association is accepting submissions for its Annual Writing Contest. After nearly 100 years celebrating published authors, extraordinary book women and honoring independent bookstores, the WNBA is celebrating emerging writers. Be a part of history! OPEN TO ALL WRITERS–MEMBERSHIP NOT REQUIRED! Click here to learn more about the WNBA. First place winners receive $250.00. There will be four awards in each category, 1, 2, 3, and Honorable Mention. Winners announced May 1, 2017. All winners to be posted on the Women’s National Book Association website. The Women’s National Book Association, established in 1917, before women in America had the right to vote. Check out our Centennial website for more information about our history and the celebrations we have planned throughout the year. The WNBA’s founding idea—that books have power and that those involved in their creation gain strength from joining forces—reaches across the decades to now serve members in 11 chapters across the country and network members in between. Soft Launch: NEW NATIONAL DIRECTORY! You must be an ACTIVE MEMBER to be listed in the new directory and soon have login access to your personal profile. We will be updating the Directory in the next few weeks and dropping all INACTIVE MEMBERS by December 31st. If you wish to remain an active member, you must renew your membership by Dec 15th–an extended deadline.